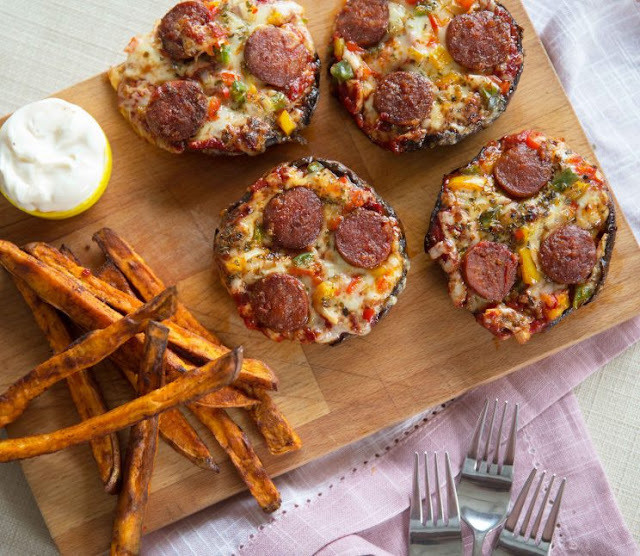 These Pizza Stuffed Portobello Mushrooms are super easy, quick and great fun to make – They’re also PERFECT for the low-carb community among us! Say hello to your new favourite keto meal! Remove the stalks and scrape out the gills with a teaspoon. Gently clean with a damp towel to remove any excess dirt. Lightly coat with Oil and give a good seasoning of Salt and Pepper. Place face down on a rack over a pan to catch the moisture that leaves. Bake for around 6-10 minutes or until they just begin to wilt and produce water. Drain away/soak up the excess moisture then finish building your masterpiece. Use a first layer of pizza sauce, then mozzarella and top with cheddar. This will allow the Mozzarella to go gooey in the center and let the cheddar turn nice and crispy on the top. Evenly sprinkle the rest of your toppings and finish with a dusting of Italian Herbs. Pop back in the oven and grill for a few minutes until the cheese starts to crisp. Enjoy! Oh and maybe grab some napkins. That cheese is gonna be oozey. 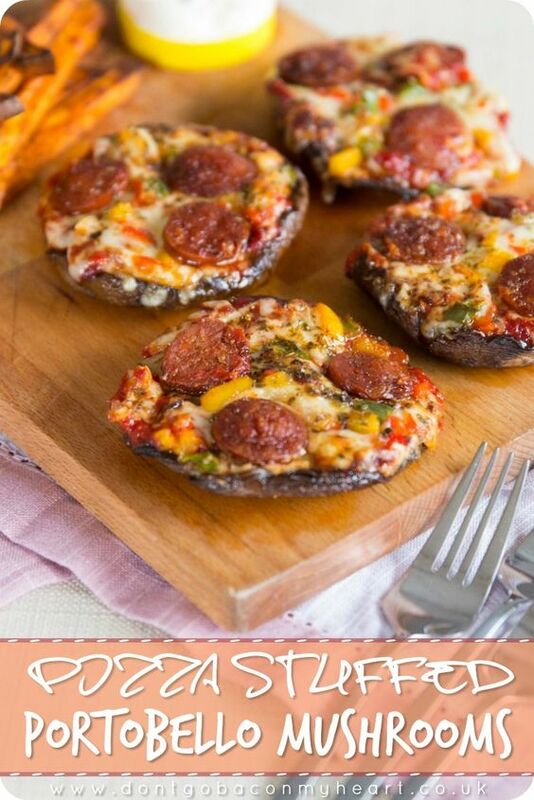 0 Response to "Pizza Stuffed Portobello Mushrooms"